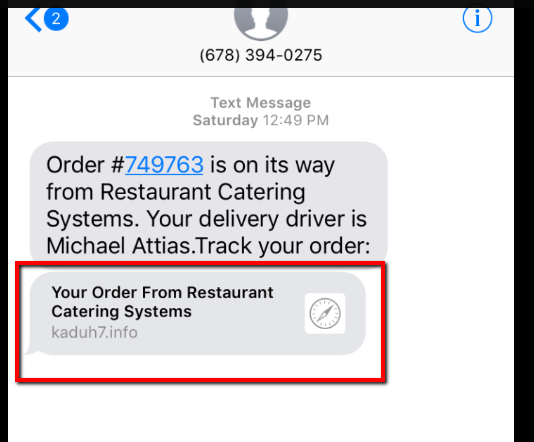 This article is going to go over how the customer can view the status of their delivery. 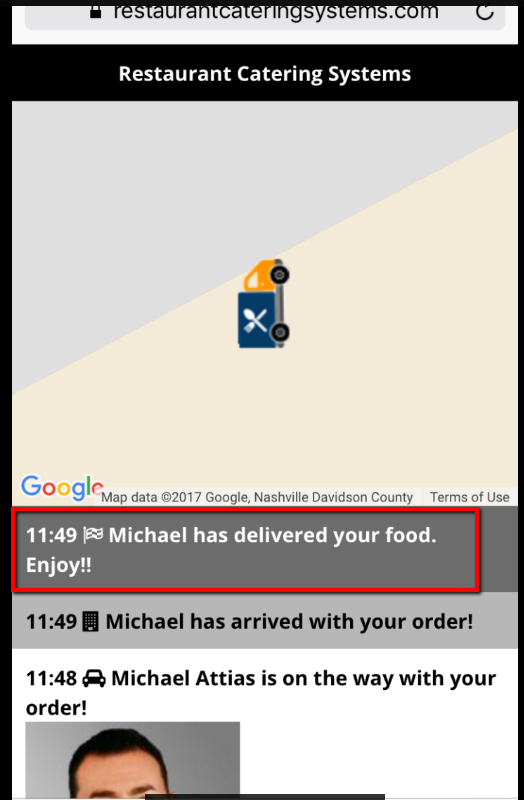 If you are using the delivery module in your CaterZen account the customer can receive a notification that the driver has left and where in route they are with their order. Please note that information that client receives via text will also be sent via email. 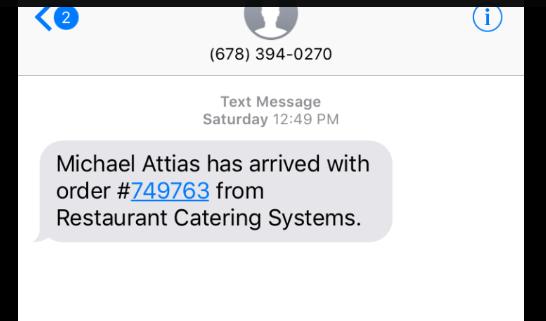 1 - The customer will first receive a Text notification (text message rates will apply) that the driver has left and the Order Is On It's Way. 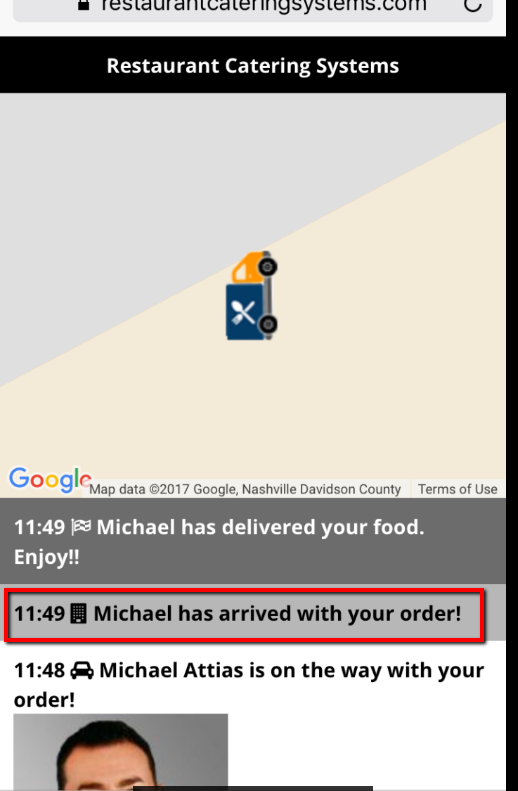 2 - Next the customer can track their order by clicking on the Track tab to watch the driver in route. 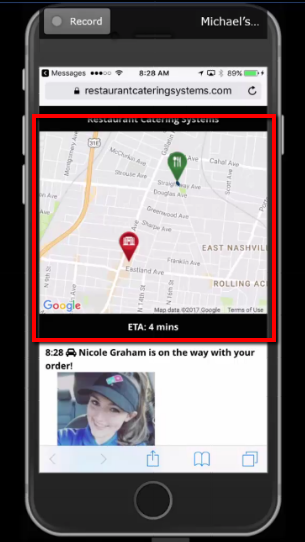 3 - The next page will show the driver in route to deliver the order. Below is a video of the full process that the customer will see. Please note there is NO sound for this video. ~Before the driver starts moving it will show a picture of the driver and the order. ~Once the driver starts in route you will see the beginning point and the ending point for the driver. ~Once the driver starts moving then you will see the truck following the path to your location. 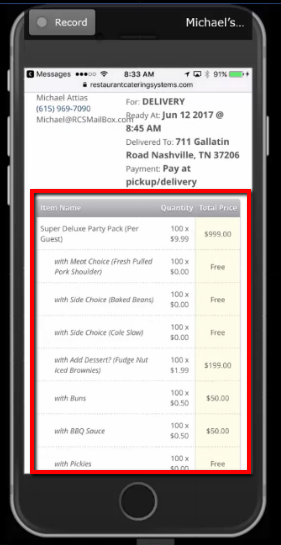 5 - The customer will also receive a Text Notification (text message rates will apply) that the driver has arrived. 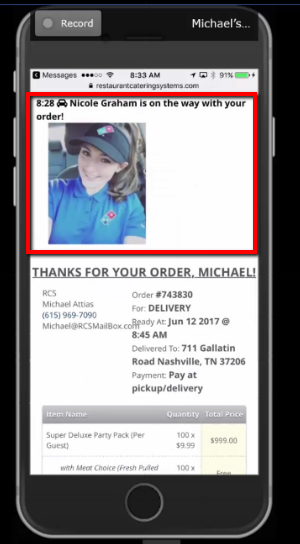 6 - Once the customer signs for the order it will also show that the order as been Delivered. 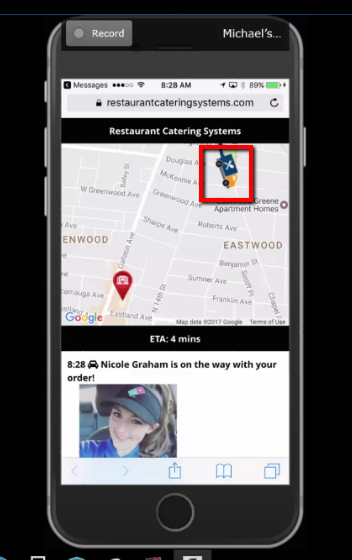 You have now viewed how the customer will be able to watch your driver in route with their delivery order.